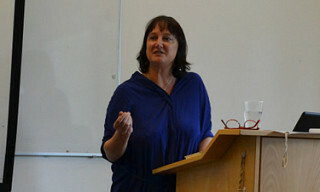 Books LIVE has done a nice write-up of the recent Cambridge conference Writing South Africa Now, where I had the privilege of reading alongside the esteemed biographer Lyndall Gordon. Literary scholars, poets, performers and writers … created a critically-engaged and supportive atmosphere in which ideas could be tested and new ways of thinking about South African literature could emerge. Previous post:Love the book you’re with: an interview with YOU Magazine.